You are currently browsing the Got Transmissions blog archives for June, 2011. Lexus developed the world’s first 8-forward speed automatic transmissions for the LS 460. The final result is a transmission which provides outstanding performance in every mode and the best of both worlds, capable of delivering eye watering acceleration with flawless shifts, while delivering better than expected fuel economy. The 8-speed gearbox is light and compact due to an aluminum case, and its new electronic over hydraulic control shift technology provides an extremely smooth and efficient shift feel. Industry leading research ensures each shift is performed in the most efficient manner, thus allowing seamless shifts using extreme real time technology. A world-first from Lexus. 8-speed transmission for ultra-smooth and economical performance. It is a longitudinal transmission, meaning it runs along the axis of the car. As in a front engine, rear wheel drive car. The setup is old as cars themselves, but Lexus uses a very advanced drive system to say the least. The transmission itself is a conventional automatic overdrive transmission in regards to theory and function. It happens to be much more complicated and technologically advanced than most folks can imagine. Other than 8 forward speeds makes for a complicated design of multiple planetary gear-sets and multiple clutch packs, with multiple clutch plates. It does not use bands as many other transmissions use, which is one way to achieve smooth efficient shifts. Of course, it’s fully computerized in every way. The transmission itself may have as many as 8 to 11 internal solenoids or small electric devices which soak in transmission fluid. These components replaced hydraulic controls of old, which simply did not perform in a snap. This means the car uses at least two computers and perhaps more, but one is a designated transmissions computer. I want to mention that if you have had a transmission failure, by all means, have a professional diagnose it, the computer or one of the external sensors mounted on the chassis or engine may be the problem. Don’t miss this step or you might be buying another replacement transmission. You can see how the services of a professional can save money and is in your best interests. Start with the services of GotTransmissions.com and experience the same feelings of confidence thousands of satisfied people have already experienced. Rebuilt Lexus LS460 Automatic Transmissions for Sale are extremely affordable, call now. Our reps are intelligent people who are trained to teach you how to choose the best replacement transmissions. Call 866-320-1182 right now for a free quote and free answers to any questions. The prospect of having to buy a replacement transmission is not a pleasant one. Most people have no idea what to do right off the bat. Should you call your mechanic, or a transmission specialty shop, or just go to the dealer? Those are good questions. If you are looking for Nissan Altima Transmissions for Sale, call 866-320-1182 right now for immediate help. This is one area of auto repair that should be handled by the most competent professional who will supply all of the right information in order for you to make a solid decision. In the replacement transmission business, cutting corners, or buying the least expensive unit is the kiss of death and the beginning of non stop problems. Buying the best replacement transmission is the best way to save money and avoid frustration and more pain. All transmissions are not the same. The best rebuilt units use better than new parts and all of the latest factory approved updates, which means you get a better transmission than new. Even when buying a pre tested low mileage transmission it’s important to get one that not only has low mileage, but has been pre tested in the doner car. Nothing at all like a junk yard transmission. The Altima was introduced in 1993 and is still in production. It uses the popular and proven front wheel drive setup called Transverse mounting. This is a system where the engine and transmission are bolted together up front, tuning sideways under the hood. To save space, the transmission and differential are in the same casing. This also saves weight. The first 2 generations of Altima came with either a 5 speed manual transmission or a 4 speed automatic overdrive transmission/transaxle. The third generation came with a 5 and 6 speed manual, a 4 speed automatic transmission in SL models only. The current generation uses a 6 speed manual transmission or a CVT [continuously variable transmission]. A CVT is a new breed of automatic type transmissions. Although it’s a completely different design than a conventional automatic transmission, they work great in smaller cars and are undetectable from the conventional units in operation, are becoming very popular. The only way to get the proper education in order to buy the best replacement transmission for your budget and interests is to call 866-320-1182 right now and speak with a friendly and intelligent service agent, Call GotTransmissions.com right now. We beat the dealership prices by a mile. Hyundai Motor company introduced the Accent in 1994 and it’s still in production. It precedes the Excel which was Hyundai’s first US entry. The Accent is a South Korean made subcompact car. For the most part, it is a nice combination of style and luxury in an affordable car. Being a modest car, every Accent made either comes with a 4 speed automatic overdrive transmission or a 5 speed manual shift transmission. Technically speaking, these are transaxles because the differential and transmission are in one case. Allowing for less weight and fitting in thighter spots. If you are looking for Hyundai Accent Transmissions for Sale, please examine the application charts below. The technical names for automatic transmission models made from 1995 to 1999 using engine L4/1.5 liters are A4AF1/2 & F4A32-1. The technical names for automatic transmission models made from 2000 to 2007 using the L4-1.5l/1.6l engines are A4AF3. The F4A32-1, A4AF-1 and W4A32 transaxles are shared by Mitsubishi & Hyundai Motor Companies. All of the aforementioned units have a feature called lock up, which is a clutch plate inside the torque converter that activates at about 50 mph. It lowers engine RPM by several hundred RPM’s [revolutions per minute] which saves fuel and allows the engine to last longer. It’s electronically activated by a speed sensor. I do not have the technical names for the manual transmissions, but the specialists at GotTransmissions.com can determine which unit you have using your VIN [vehicle identification number] which is on your registration. What is more important to know is know which unit is best for your interests. Such as transmissions with all new parts, better than the factory, and all new electrical solenoids, or a low mileage used transmission for a newer model Accent. One that has been tested in the donor car and has a pee of mind guarantee. For information that will help you make the right decision on which model to choose from, call one of our experts at 866-320-1182 and speak with an intelligent person who has your best interest in mind. Call GotTransmissions right now. All of our transmissions for sale have pure value right inside them. The Lincoln MKX is a crossover utility vehicle [CUV], it is true luxury in a mid-sized vehicle. It resembles Ford’s Edge, sharing the same platform. Called Ford’s CD-3 platform chassis, it is the basis of a front wheel drive, four wheel drive/ front engine design. The only transmission offered in the MKX is a 6 speed automatic overdrive, with a lock up torque converter [which is like an extra forward speed]. Most rear wheel cars use a longitudinal mounting system where the engine is in the front, and the differential is in the back, with a driveshaft connecting the two. If you picture it in your minds eye, the engine and transmission run north to south with the axis of the car. We call the system used in the MKX a transverse engine/transmission mounting combo. The engineers first designed a transaxle, which is the transmission and differential all in one case. Thus saving weight and space. Then the assembly is mounted sideways, east to west of the axis of the car. Transversely. This allows for one axle to protrude from the left front side and drive the left front wheel and the same for the right side. A terrific, very efficient space saving and weight saving design used by many manufacturers nowadays. The transmission itself is somewhat of an interest. When have you ever heard of Ford and General Motors working on the same project together? This particular line of transmissions is a joint effort by GM and Ford to produce a hi quality multi speed automatic transmission using the same R and D [research and development] department. It cuts manufacturing and design costs while keeping quality high. Essentially, it is the same basic design as most other fully automatic transmissions or transaxles in theory and function. My thoughts on buying a replacement transmission revolve around reliability, cost and customer service. To receive all of the above service call GotTransmissions right now at 866-320-1182 and speak with an intelligent and knowledgeable pro. We are prepared to provide an acceptable amount of knowledge so that you can make the best decision. Don’t forget, we offer excellent low mileage used transmissions and make sure to ask what a JDM replacement transmission is all about. Call right now and get a free quote and friendly service. 866-320-1182. The Camry by Toyota has been on the market since 1982, that is what is called a successful car. Almost 30 years of continuous production. It would be safe to say that the Camry has been successful partly due to the trouble free drive-lines. In particular, Toyota transmissions seem to last a long time. That does not mean they don’t wear out though. Ninety percent of the replacement transmissions we sell for Camry’s are simply worn out, some fail prematurely, but usually, the problem is out of the drivers control. Either way, to suggest Toyota Camry Transmissions for Sale for Less are a great value would be an understatement. Camry transmissions are mounted up front with the engine. Running east to west, along the north south axis of the car. This is called a transverse mounting system and is a well proven setup being used almost exclusively by every other manufacturer today. Technically speaking, we call a setup like this a transaxle, as opposed top a transmission. Meaning, the transmission and differential are all in the same case or housing. This not only saves weight, but it saves space too. There are several choices available for Camry owners in need of a replacement transmission. Depending on the year of the car, and your intentions, we have a solution for you, just call 866-320-1182 and speak with a trained professional right now. Our lineup consists of transmissions. Ones rebuilt to perfection with better than factory parts and, all factory approved updates. A true great value. We also sell low mileage used transmissions for those on a budget. Of course, older models are harder to find low mileage units for, and, a rebuilt transmission for an older Camry cossets less than a newer model. When we receive a request for a used transmission for newer Camry, the odds go way up that we can supply you a low mileage pre tested used transmission. We won’t sell you an old junk yard transmission that’s on the verge of failure just to make a sale. It’s a good decision to call and speak with one of our pros and get a better idea of what is available and what would suit your needs perfectly. Only a professional has the qualifications to advise you properly. Every transmission we sell comes with a peace of mind warranty. After doing business for a while now, it is very evident that educated consumers make better decisions. Allow us to shower you with the type of info you need to make the perfect decision. People who make good decisions feel better about themselves. Call GotTransmissions.com right now at 866-320-1182 and get a free quote and all the information you need to make the decision that suits you best. Ford developed the Transit Connect van with a purpose in mind. They wanted to produce a tall boxy type of van, but not a full sized one, something they could call a mini or compact van with side windows and a few luxuries to boot. The Connect is not only a successful vehicle but it is simple for the most part. It only has one automatic transmission available and Replacement Ford Connect Transmissions for sale are very affordable, call 866-320-1182 to cut right to the chase. To start with, Ford used a trusty platform with the C170 chassis. It is a front wheel drive, front engine setup commonly called a transverse mounting system. It is quite a popular setup used by nearly every major manufacturer. To simplify the matter, the transmission and engine are both mounted under the hood, sideways. We call that east to west mounting. It runs across the axis of the car. Because we actually call front mounted, front wheel drive transmissions, transaxles, there is an axle coming out of the front of the car, going from the transaxle to the relevant front wheel. FYI: A transaxle is a transmission and differential unit all in the same case, allowing for less weight and installation in tighter spots. Similarly, an all wheel drive system uses a power splitter so power can be transferred to all four wheels. AWD [all wheel drive] is mostly for rainy or snowy roads, not for rugged off road use. That being said, the 4 automatic overdrive transmission with lock up [lock up is a feature that effectively adds another forward speed] is bolted to a 2.0 liter Duratec engine, which is all that is sold in the US, making choices even easier. The 1.8 diesel engine and standard transmission are not offered in America. While most folks may think a rebuilt transmission may cost a lot, realistically speaking, this is the most inexpensive and reliable method or solution available. When you consider the cost ratio, to long trouble free lifespan, it is actually quite an inexpensive option. If you don’t want a rebuilt transmission, it is still a wise idea to call GotTransmissions.com and ask about our low mileage used transmissions. Every one is pre tested in the donor car for performance and leaks, assuring you of a perfectly operating unit. If you need more information and an intelligent human being to speak with, call 1-866-268-0664 right now for a free quote and enough free info for you to make a great decision. GotTransmissions.com. Dodge has been putting out cool looking compact and mini cars for a few years now, and the Caliber was their new compact sized car which replaced the Neon in 2006. It’s very stylish and comes as a 5 door hatchback wagon only. Being conscious of economy Dodge used overdrive transmissions only. Affordable Dodge Caliber Replacement Transmissions for Sale, call 866-320-1182. Dodge now offers a CVT transmission as the only automatic transmission. Dodge dubbed the CVT ”CVT2”, although it is made by Jatco, a Nissan affiliate and subsidiary, only the second Daimler-Chrysler automobile to incorporate said technology other than the Mercedes-Benz A-Class. It uses the four-cylinder 1.8-2.4 L GEMA gasoline engine, designed jointly by Chrysler, Mitsubishi, and Hyundai. CVT [Continuously Variable Transmission] assemblies are becoming more popular in mid to mini sized cars as we perfect the design and make it more suitable for use than our current automatic transmissions. CVT is not new by any means, it just took the auto industry a long time to discover how useful they can be. 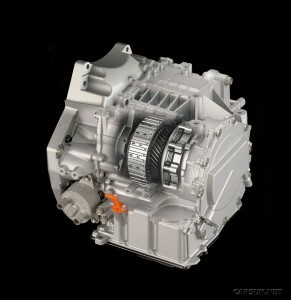 The only information available yet on the CVT2 is the name of the transmission, Jatco JF011E. Continuously Variable Transmissions have a low take off gear ratio and a high as the street gear ratio with infinitely varying ratios in-between. The advantage of a CVT is the ability to keep the engine RPM in it’s optimum power output range for all operating conditions. Both manual transmissions offered are conventional transaxles in design and come in 5 speed and 6 speed models. Using a standard type of clutch assembly. The car is built on the Chrysler PM/MK platform, which is compact car platform developed by Chrysler and Mitsubishi. Also called the Global Project by Mitsubishi. It is available in front wheel drive only, or all wheel drive, depending on where you live and your driving conditions. Unusual as it may seem, GotTransmissions.com receives call for replacement transmissions for the Caliber on occasion. We like to be prepared. Therefore we carry low mileage used transmissions which are pre tested in the donor car and transmissions with every approved factory update built right into the transmission. If you need some help, advise or education on how to choose the best replacement transmission for your interests, call 1-866-268-0664 right now for a free quote and plenty of information. Our representatives are experts and trained to hear you out in order to help you select the right transmission for you. Call GotTransmissions.com right now 1-866-244-0668. Acura decided to introduce a luxury sporty compact crossover SUV in 2006. The chassis code is TB1. The RDX is a 5 door vehicle. It is built on a front wheel drive platform and only has one transmission option. The RDX also uses Acura’s Super Handling All Wheel Drive transmission arrangement [SH-AWD}, which has a transfer case capable of varying the torque between the front and rear axles. ”The system can vary the front/rear torque distribution from 90/10 to 30/70, depending on whether the vehicle is accelerating, cruising, hill climbing, taking a curve, or encountering poor road conditions. When taking a curve, a pair of magnetic flux clutches in the rear differential can transfer as much as 100% of the available rear torque to the outside wheel. That torque transfer, combined with a 1.7% rear over-rotation of the rear wheel helps rotate the RDX through a turn”. From Wikipedia. Acura transmissions are nearly identical to Honda transmissions. They are unique in design. I think they are an exceptional transmission. It does not guarantee that some won’t fail for many different reasons. Some reasons may be out of the drivers control. One of the few complaints I have heard about said transmissions are what is called a torque converter shudder. What that feels like is running over a mild washboard at 45 to 60 mph under gentle acceleration. Sometimes this is caused by using the wrong transmission fluid. It is critical to use factory transmission fluid only. Sometimes transmission fluid need changing too, if the additives go bad it can cause a chatter and early failure. In some cases, a chatter or miss-performing transmission needs to be reprogrammed by the dealer. The bottom line comes if you need an Acura RDX Transmission for Sale. It happens on occasion, and it’s a bad spot to be in for the average person. No one wants to pay dealership prices. The smart thing to do is to call GotTransmissions.com and speak with a trained professional about your situation. With a variety of solutions available to you, a specialist will listen to your problems and explain in understandable detail how to choose a replacement transmission that fits your bill. Of course our prices beat the dealer by a mile, and there is no sacrifice in quality if you buy one of our precision transmissions. For those on a budget we offer top quality used transmissions with low mileage. You make the choice after we provide the education. Call GotTransmissions.com right now at 866-320-1182 and ask about our peace of mind warranty. We build pure value into every transmission we sell. Find out how easy and pleasant this experience can be with our award winning customer service . Call right now. One of the reasons the Acura RDX Turbo SHawd so popular is the sporty performance oriented design which includes more fun and a safer driving experience in a family car. The truth is it may be safer because of it’s better brakes and suspension. The AWD drive-line is a major reason for such fine operating manners. Never compromise yourself if you need a repair to this car, always seek the best service and parts. If you were to experience a transmission failure, it may seem like A. a somewhat scary, gray area experience and B. one of the biggest decisions you will ever make. And it is, however, with the help of Remanufacturedenginesforsale.com, you can purchase Acura RDX Turbo SHawd Transmissions for sale for pennies on the dollar compared to the dealer. Call 866-320-1182 right now. The only transmission offered in the RDX is a fully computerized 5 speed automatic overdrive transmission with a an electronic lock up torque converter for extra fuel savings and less engine wear. The drive-line is tagged as ”Acura’s SportShift Super Handling All-Wheel Drive [SH-AWD]. The transmission is a transaxle in reality, this is where the transmission and differential are in the same case to save weight and take up less space. It even has the trendy little shift paddles on the steering wheel to change the modes from manual shift to fully automatic shift. It is mounted up front with engine, both sit sideways under the good. It looks like a nightmare to the inexperienced eye, professionals are used to such complicated scenes, always seek professional help. My recommendation for a replacement transmission may vary due to your particular situation. The variety of choices is widespread for a Japanese car. Primarily because we can offer JDM transmissions to our customers with Japanese cars. We offer transmissions, not just an ordinary rebuilt transmission either, one which has been updated and has pure value built right into it. We also sell low mileage good used transmissions for those on a budget. The best thing to do is call now and speak with a customer service rep about your issue and allow them to provide a solution that fits your wallet and needs. Call GotTransmissions right now at 866-320-1182 and experience our world class service.